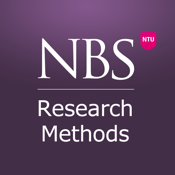 Developed by Nottingham Business School, Nottingham Trent University in the UK, this innovative and exciting app provides students enrolled on relevant MSc programmes with access to the module content and materials for their Research Methods Module. 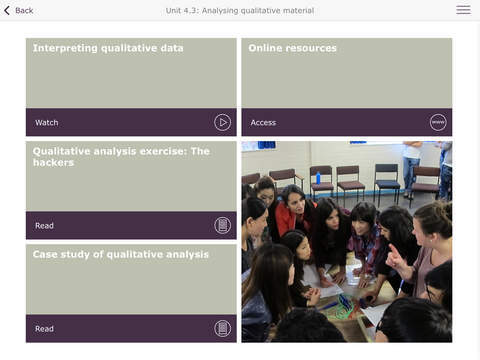 The app uses a mixture of text-based, video and audio resources to facilitate students’ learning and understanding of the academic research process. Nottingham Business School operates a number of one year full-time MSc courses in subjects related to management, marketing, accounting and finance, economics, human resource management and international business. The School and its MSc courses are well known for providing students with outstanding career enhancement opportunities and employability rates, connections to business, international experience and a supportive learning environment in world class facilities. Please note that access to the resources in this app requires a username and password supplied directly by Nottingham Business School.